Godfrey Gao seems to be having a photoshoot with MSN Hong Kong. 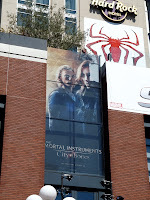 Looks like Godfrey Gao is also doing some Mortal Instruments promoting in Asia. 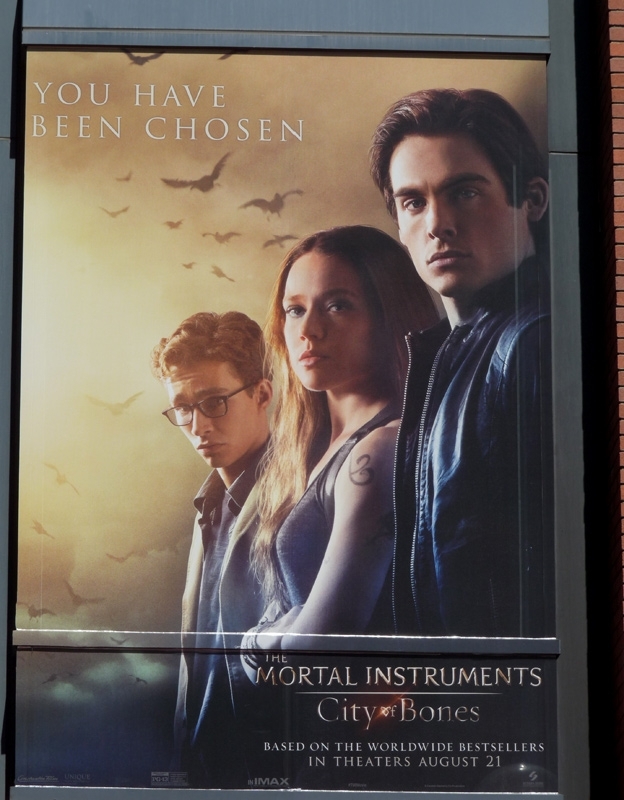 "I’d like to say that I am very lucky to have been able to have the chance to take part in the TMI franchise. It wasn’t easy to get this opportunity— I had to go through many castings to get the part. The role is something really new/different for me (it’s not something I can use my personal experiences to play/fall back on). This is a great movie that’s coming out in Hong Kong soon. Go see it!" The video is in a different language, but it's always nice to see some Godfrey Gao posing! San Diego was so lucky because they had the chance to see Godfrey Gao at Comic Con 2013. Operation #GodfreytoSDCC: Let's Get Godrey Gao to Comic Con! 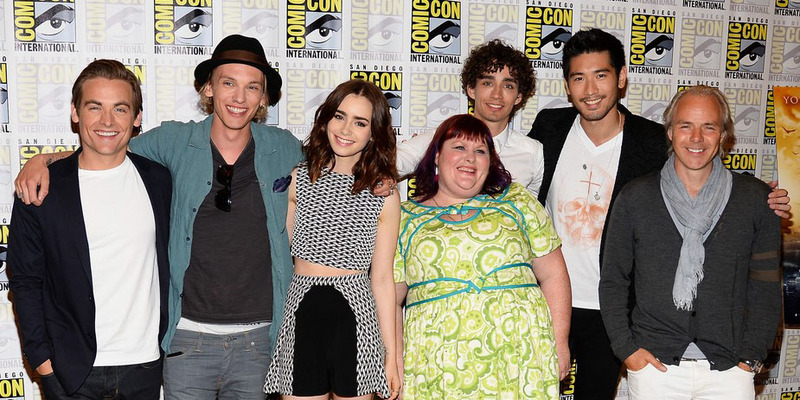 Godfrey Gao has not been confirmed to join the Mortal Instruments panel at San Diego Comic Con on July 19th. 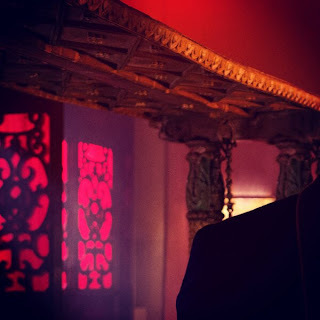 Help us trend #GodfreytoSDCC in hopes that Sony will see that we want our beloved Magnus at the SD Comic Con. Along with many other Mortal Instruments fansites, we are getting together to trend #GodfreytoSDCC tomorrow (Fri. July 28) at noon (ET). We know that not everyone has the chance to go to the San Diego Comic Con, but we all get to see pictures! 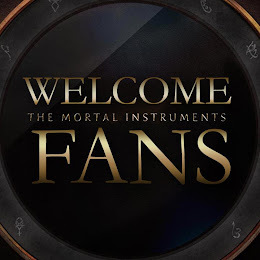 So what do you say Shadowhunters: are you in? Check it out, we have 4 of VH1's 20 Hot Guys You Need to Know in 2013! Why Is He Hot This Year? : If Gao is on the verge of breaking out because of a juicy bit part in a popular YA film adaptation, the film's lead should also brace himself for success. 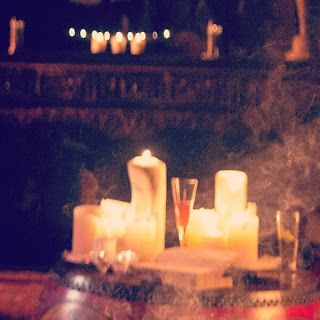 Things To Know About Him: Campbell Bower isn't a stranger to the fantasy genre. He was a Volturi in The Twilight Saga and Grindelwald, aka Dumbledore's crush/lover/enemy in Harry Potter and the Deathly Hallows. Oh, and he used to date Ginny Weasley. Why Is He Hot This Year? : Gao is a smoking hot Taiwanese model and actor who is crossing over to Western films in a big way with one of the more juicy roles in a film filled with eye candy, The Mortal Instruments: City of Bones. Also, he has a vocal online fan community. Things To Know About Him: He was born in Taiwan, but moved to Canada at the age of 9, but then moved back to Taiwan to model and act in a plethora of teen dramas. Why Is He Hot This Year? 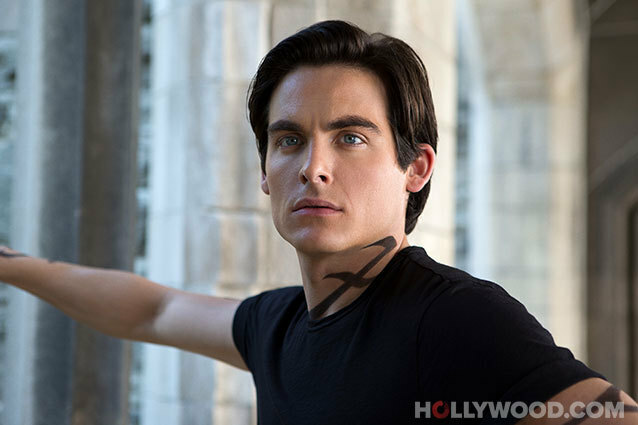 : Sheehan is the third up-and-comer who could break out on The Mortal Instruments series alone. However, unlike Gao and Campbell Bower, he hasn't forged his path playing pretty boys, but character acting his way through cheeky anti-heroes and historical characters. Things To Know About Him: Sheehan started acting professionally in his late teens in his native Ireland, grew in popularity and acclaim and jumped to the UK market with film roles and an electrifying performance in Misfits. He's appeared in a number of US films in supporting roles, but is poised for a crossover to Hollywood. Oh, and he apparently likes wine. That's good. Why Is He Hot This Year? : Turner is probably the most visible dwarf in The Hobbit being that he's the youngest, (arguably) the hottest, and the one least covered in make-up and his character is one of the more "human" ones in the trilogy. On the flip side, he'll be the mature elder of the pack in The Mortal Instruments, so he's got two places to be seen in different ways by fantasy audiences. Things To Know About Him: He recently cut his hair, which would be sad, but it still looks really, really, really good. Page to Premiere and Fangirlish got a chance to interview Kevin Zegers at WonderCon (Mar. 30). 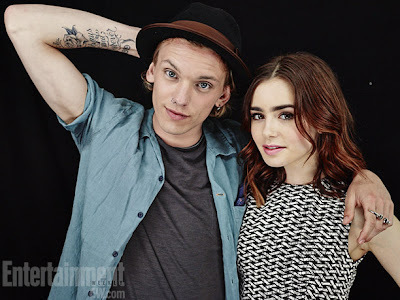 Page to Premiere also talked to Jamie Campbell Bower while at WonderCon, check out all the interview videos here. Q: So should I ask the Lily questions? We asked Lily what to ask you and she was saying that we should ask you what it was like to work with Godfrey Gao. expected it to be. We were kinda just buddies. Probably not what fans would expect for our interaction. He seems like the kind of guy that I grew up with. Not super formal, kinda just a dude, we just hung out and talked about guy stuff. It was pretty mellow. Like I said it was like two days of work, so we didn’t get to know each other obviously as well as the rest of us did. And like in the first movie he’s kinda introduced and it doesn’t really go into our story as much as future books and movies, if there are ones, will. Q: The other question she told us to ask was; what did you guys do to get to know each other off set? K: We trained. We trained really hard, which when you are next to someone grunting and sweating for a few weeks – great ice breaker. We just worked a lot. When you work with someone as long as we did, all the courtesy stuff goes away and we are who we are. I say it all the time, but people on this movie were genuinely nice people. We laughed a lot. We were shooting sometimes 14 hours a day, so we weren’t going out partying all the time. It was a lot of work, but Lily and Jamie, they are still really close friends of mine. It was one of those experiences where we were all on the same page. Just got through it together. K: Yeah. I think if it was heading in a bad direction she would have said something. I always felt pretty grounded in who I think he is. It made it a little bit easier to – it’s not easy to be such a complicated character. Read the full article over at PageToPremiere. Check out the whole list of Cassandra Clare's set diary over at Teen.com. 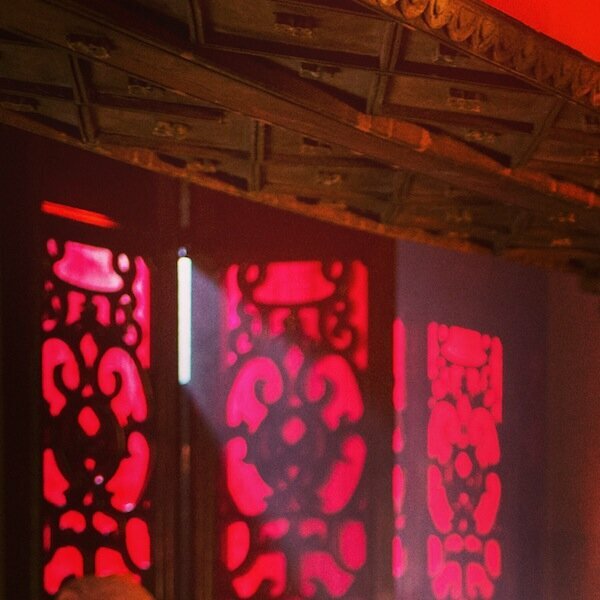 On day 4 we get some Magnus (Godfrey Gao) and some more Izzy (Jemima West)! Today is a really late start day because shooting went late the night before, and there’s a mandated 12-hour turnaround for cast and crew so everyone can sleep. It’s also the day we have Grace, who is our girl from the Make-a-Wish foundation, on set. 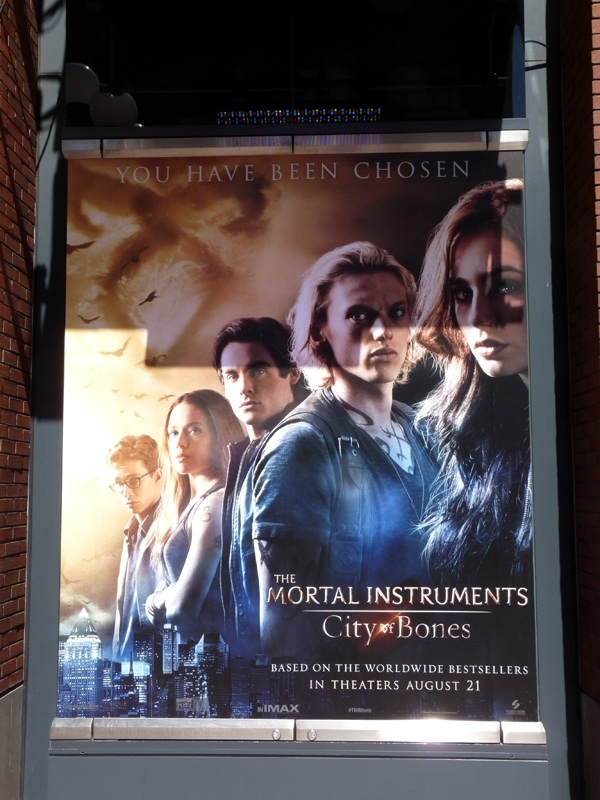 It was her wish to be on set for the City of Bones movie. 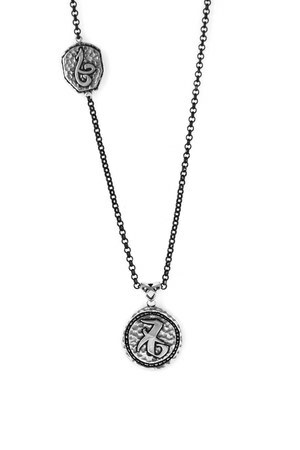 I’ve actually corresponded with Grace before and sent her a bunch of iratze charms, which she still has. I’m so touched she kept them so we have a little moment, hugging and dancing around the costume room. Grace sobers up when she sees some of the Magnus’ party costumes, which are ever so slightly on the naked side. Fun, though. Brocade jackets! Crazy boots! Backless dresses! Sparkles everywhere! Grace winds up with a nicely tasteful look. The shooting is on location that night in a subway tunnel. The cast has their chairs down on the platform. It’s fairly cold, so there are blankets for everyone. Kevin [Zegers] takes a picture of me with Jemima — she’s almost completely wrapped in a blankie. Godfrey Gao attends the Moet & Chandon and FilmAid Asia Power of Film Gala at Clear Water Bay Film Studios on March 16, 2013 in Hong Kong, Hong Kong. 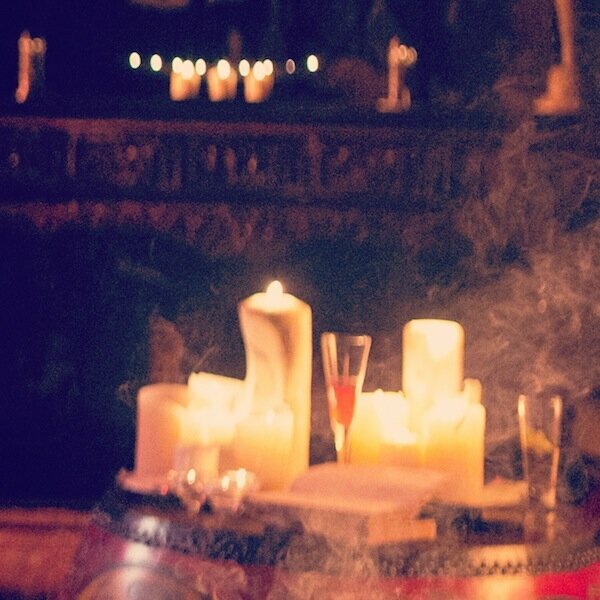 Later, Joshua tweeted that this surprise would involve a certain warlock, Magnus Bane. What do you think that could mean? Perhaps another photo, maybe an interview, or even better, a clip of Magnus? Sparkly eye-liner? Check. Posh threads? Yep. Flashy nail polish? You bet. 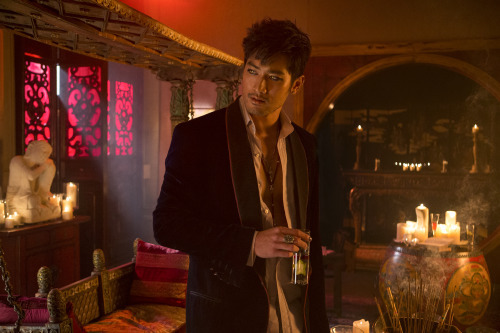 He may not be a rock star but he sure as hell could be: Meet Magnus Bane, the High Warlock of Brooklyn. 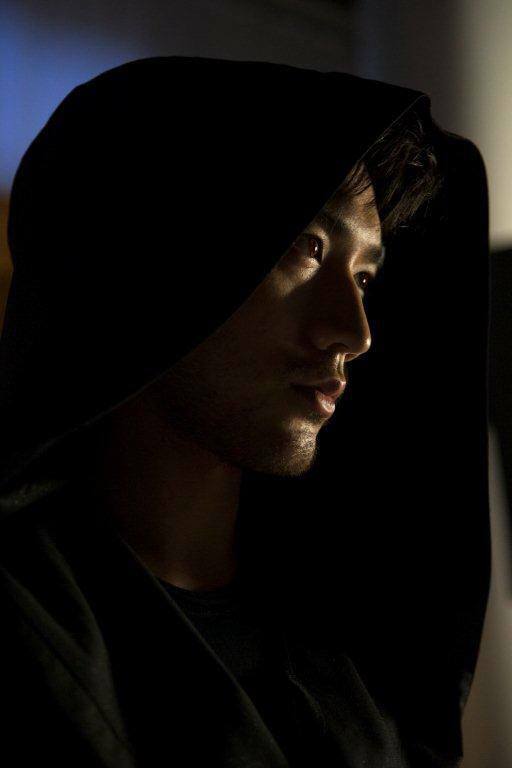 The big-screen adaptation of Cassandra Clare's best-selling urban fantasy"The Mortal Instruments: City of Bones" doesn't hit theaters until August 23, but MTV News is giving you an exclusive first look at the flamboyant fan-favorite character, played by newcomer Godfrey Gao. 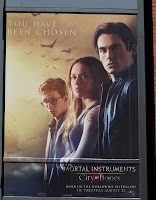 "City of Bones" centers around Clary Fray (played by Lily Collins), a seemingly average teen, who uncovers her secret roots in a society of half-angel, half-human warriors known as Shadowhunters, who are tasked with ridding the world of demonic forces. Along with her newfound Nephilim allies, Clary gets assistance from the magical Bane, who knows a lot more about her past than he leads on. Magnus is a multi-layered character, to be sure, and it was a role Gao said he relished. "I love Magnus Bane's character because [he] can live forever and never age a day, and who doesn't want to live forever?" Gao told MTV News. "I also love that Magnus is a flamboyant party animal, and it's fun to be described that way compared to the other characters I've portrayed previously. 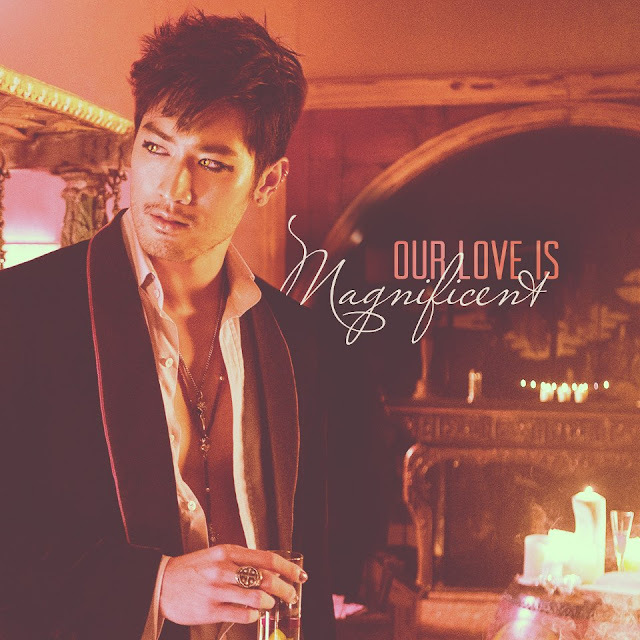 Magnus is so out there, he's definitely a character I will never forget!" Magnus' "out there" persona boasts plenty of theatricality in his dress and personal grooming (evidenced by our first look photo). And, surprisingly, Gao said the transformation didn't translate to hours in the makeup chair. "Magnus' extravagant style of dress and makeup was quite the hot topic when I arrived to shoot in Toronto. All the glitter, nail polish, eye-liner and the outfits combined made Magnus the character that everyone loves and envisioned in their minds," Gao said. "While I never spent more than 30 minutes for hair and makeup, the results for Magnus' style ... let's just say the hair, makeup and costume team/departments did a fantastic job of styling my character, and I enjoyed every single moment of transforming into Magnus! The warlock outfit with the black cape and hoody was very intriguing as well!" Wednesday, February, 13th will forever be known as the day we got our very first look at the High Warlock of Brooklyn, Magnus Bane. It's perfect timing given that tomorrow is Valentine's Day, thus even if you don't have a date, you have Magnus to keep you company! I can tell you have a lot on your mind. I won't keep you waiting. If you want to know more, just look into my eyes. Did I cast a spell on you? 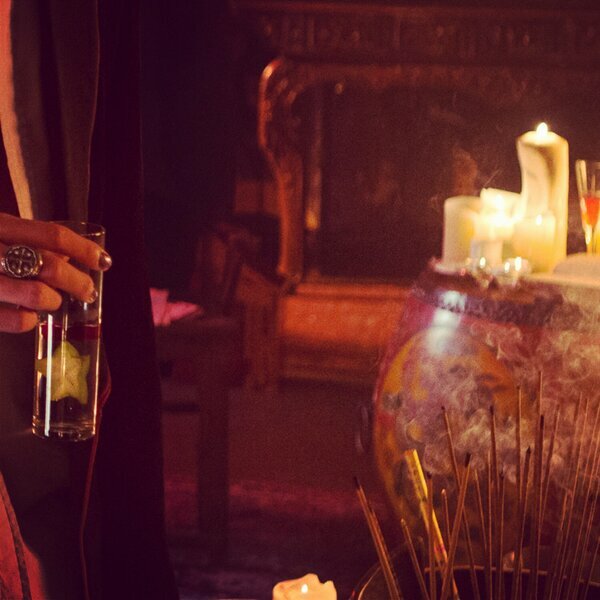 After checking out the glittery nails and magnificent ring, we were certain it was Magnus! Come in and try not to murder any of my guests. Look at those amazing eyes! The adaptation is flawless!